Urgent Care for Kids, Keller is a pediatric urgent care center serving the children, adolescents and young adults in Keller with extended hours, making them a great option 7 days a week when your child's primary care office may not be open. You can find this clinic located at 940 Keller Pkwy, Suite 250 and patients can walk in to see them today from 12:00pm to 9:00pm (last verified on 2018-08-10). 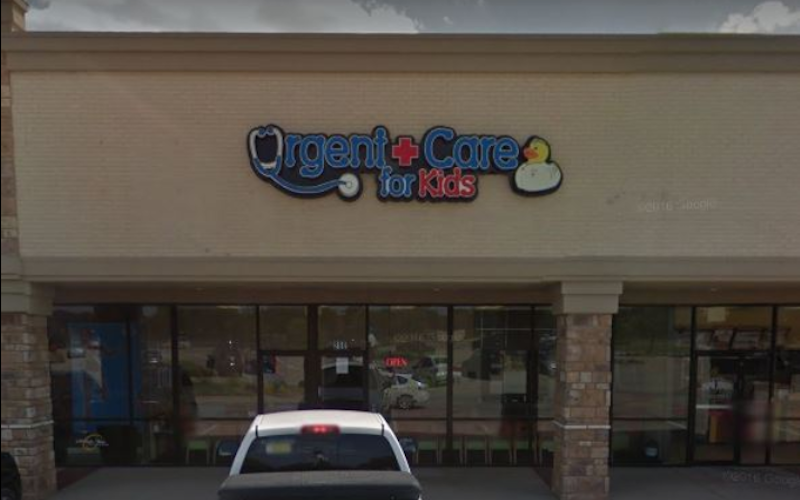 Recognized favorably amongst their patients, Urgent Care for Kids, Keller has an average rating of 4.8 stars out of 5 based on 63 total ratings. In fact, recent patients have frequently used words such as "ambiance", "bedside manner" and "timeliness" to describe their experience at the clinic. When your kiddo is not feeling well and when your regular pediatrician isn't available, you definitely want to look for positive sentiments from kids and parents who have gone before you. Nationally, most pediatric urgent care patients see average wait times between 15-30 minutes before being seen by a provider, which should be expected at Urgent Care for Kids, Keller as well. As part of the group, they have a in miles away that you may want to consider if the wait gets too long. If you are looking to learn more about pediatric urgent care including statistics, trends, FAQs and other useful information, check out our blog to empower your knowledge as a healthcare consumer. Learn more about urgent care in Dallas. The base price for an office visit at Urgent Care for Kids is $150 with additional services being an extra charge. Patients typically pay between $15 - $150 for common services. Urgent Care for Kids accepts many major insurance plans and multiple forms of payment, making it easier to get the affordable care you need. It is always a good idea to contact your insurance company before your visit to ensure the Clinic is in network for the service(s) you're seeking. The lady at the desk was very nice nd helpful! Amazing service and so friendly. They took care of my baby like she was family. Thank you! The nurse and doctor we saw today were both incredibly patient, kind, understanding, and empathetic to my daughter’s situation. We received incredible care and I would wholeheartedly recommend Urgent Care for Kids! From out of town. First experience. Awesome staff. healthcare provider. No downloads required.